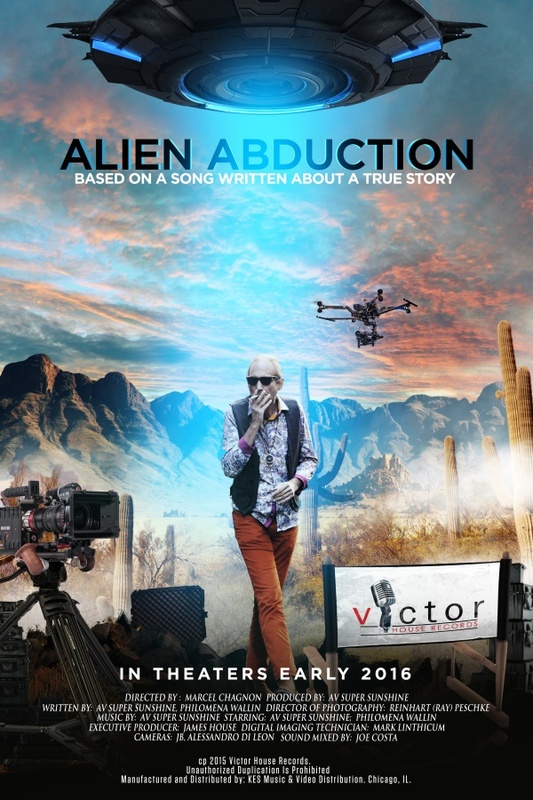 Alien Abduction is a rock & roll art film by Nashville film maker Marcel Chagnon and Hollywood cinematographer Reinhart Peschke. Based on a song from his unreleased CandyLand CD the film stars AV, Philomena and an a-list cast of vintage film mannequins. Originally planned for release with CandyLand in 2016, a decision was made to instead continue to build fan enthusiasm by first releasing a collection of radio friendly songs called Bass Face. Until the CandyLand CD and the Alien Abduction film are released please enjoy Bass Face, our numerous music videos and our film trailer.